 Mouse anti Human CD173 antibody, clone BRIC231 recognizes human type 2 H blood group antigen, also known as CD173. Active H substances in man, are expressed by many cells and tissues and also by erythrocytes. Human erythroleukemic cell line (HEL) established from a 30 year old patient with relapsed erythroleukemia following treatment for Hodgkin lymphoma. Clausen, H. and Hakomori, S. (1989) ABH and related histo-blood group antigens; immunochemical differences in carrier isotypes and their distribution. Siegel, G. et al. (2013) Phenotype, donor age and gender affect function of human bone marrow-derived mesenchymal stromal cells. Hotta, H. et al. (2013) Lewis y antigen is expressed in oral squamous cell carcinoma cell lines and tissues, but disappears in the invasive regions leading to the enhanced malignant properties irrespective of sialyl-Lewis x.
Guix, S. et al. (2007) Norwalk virus RNA is infectious in mammalian cells. Sharpe, C. et al. (2014) Mixed field reactions in ABO and Rh typing chimerism likely resulting from twin haematopoiesis. Cheetham, S. et al. (2007) Binding patterns of human norovirus-like particles to buccal and intestinal tissues of gnotobiotic pigs in relation to A/H histo-blood group antigen expression. Hutson, A.M. et al. (2003) Norwalk virus-like particle hemagglutination by binding to h histo-blood group antigens. Matsumoto, S. et al. (2015) A Cytotoxic Antibody Recognizing Lacto-N-fucopentaose I (LNFP I) on Human Induced Pluripotent Stem (hiPS) Cells. J Biol Chem. 290 (33): 20071-85.